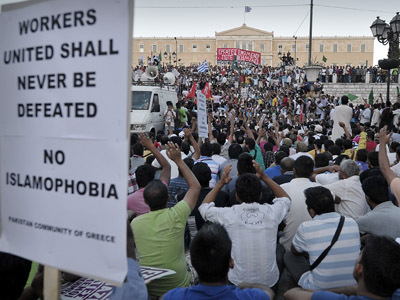 Thousands have taken to the streets throughout Greece to protest the drastic budget cuts proposed by the government. Minor scuffles with riot police took place in Thessaloniki after some youths set rubbish on fire and burned an EU flag. In Athens some 2,000 pensioners marched through the city to protest newly introduced pension cuts. 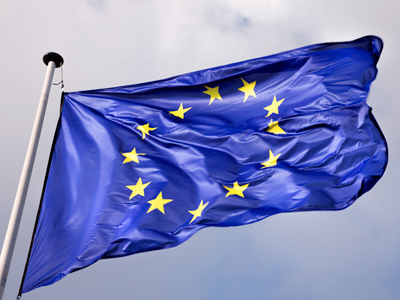 It was announced that those who earn more than 1,000 euros a month will have 10 percent of their pensions axed. This is despite a 25 per cent cut over the last two years. "They have cut our pensions into little pieces. They've imposed an unfair property tax, other taxes, taxes on petrol, the supermarkets are expensive. They have squeezed the life out of us, they've disgraced us," a pensioner told AP. 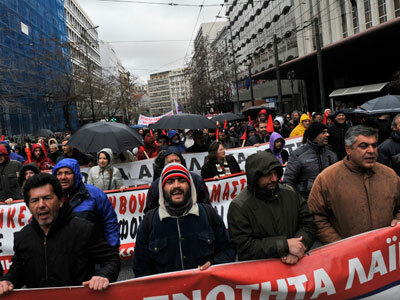 Saturday's protests in Athens, which also included trade unionists, caused severe disruptions to traffic. Major roads in the downtown area were also blocked to weekend traffic. Meanwhile, several demonstrations are taking place in the northern city of Thessaloniki. The largest one is by military and police personnel, who protest wage cuts. The streets were decorated with banners reading "Solidarity" and "Overthrow" as protesters marched, AP reported. On Monday the country’s Prime Minister, Antonis Samaras, is expected to meet with Troika senior austerity inspectors, who are to decide whether the country is to be given a long-awaited 31 billion euro rescue loan. In order to secure the rescue package the Greek government is to introduce another round of austerity measures that Samaras himself called painful and unjust, but necessary. ­Many people in Greece think that the country has suffered enough already from being in the Euro, while they are only being offered more of the same, William Dartmouth, MEP from the UK Independence Party told RT. “The political establishment in these countries always tends to be in favor of more Euro and people are basically against it, because it is not in their interest,” he asserted. “What we are watching is a slow-motion train crash which also could endanger the entire world economy,” Dartmouth concluded.